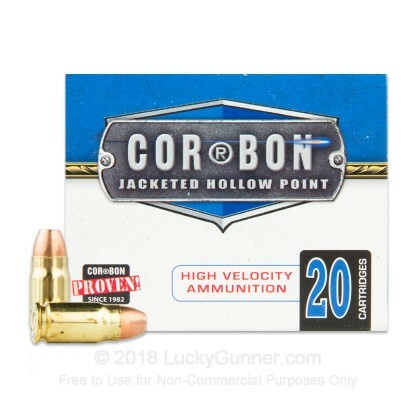 If you want a fast, hard-hitting self-defense load and don't have problems pushing the envelope on recoil, give Corbon ammo a try. 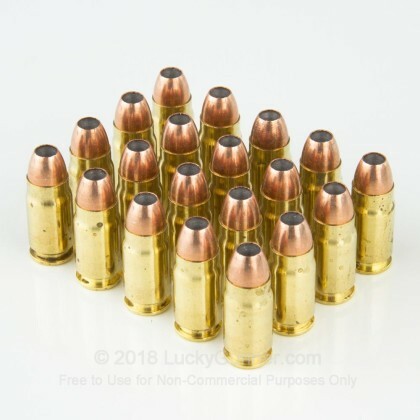 This .357 SIG ammo fires a 125 grain jacketed hollow point bullet at 1,425 feet per second. 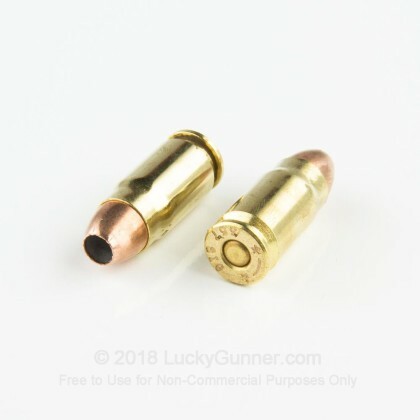 Such a high velocity enhances both the penetration and expansion of the projectile and helps ensure that a well place shot stops a threat quickly and decisively. These cartridges come in boxes of 20 and use non-corrosive Boxer primers and brass cases. They work particularly well in full-sized pistols like the SIG P226 and Glock 31 that can absorb some of the .357 SIG's hefty recoil. 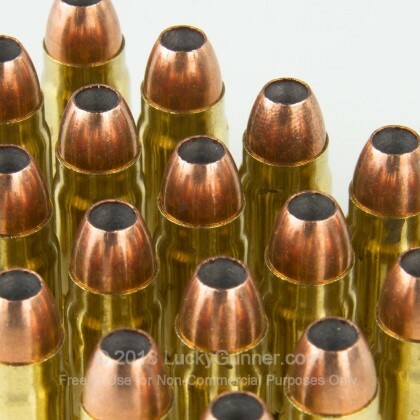 Corbon of Sturgis, South Dakota is known for producing high-pressure defensive ammo that packs a serious punch. Their product line also includes offerings for hunters and competitive shooters. 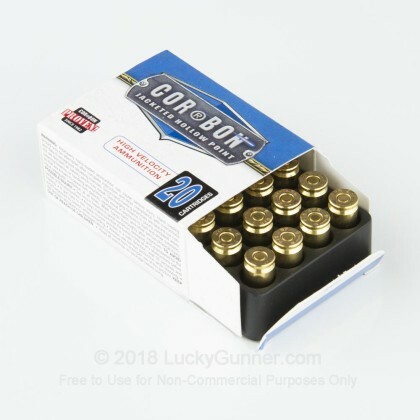 We don't have any reviews yet for this particular .357 Sig ammo from Corbon. 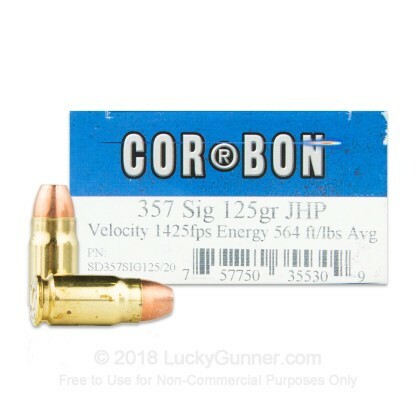 If you'd like to be the first to review this particular .357 Sig ammo from Corbon, fill out the form below.